The daring and magnificent novel from the Pulitzer Prize-winning author. With the atmosphere of a noir thriller, Egan's first historical novel follows Anna and Styles into a world populated by gangsters, sailors, divers, bankers, and union men. 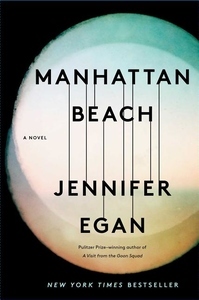 Manhattan Beach is a deft, dazzling, propulsive exploration of a transformative moment in the lives and identities of women and men, of America and the world. It is a magnificent novel by the author of A Visit from the Goon Squad, one of the great writers of our time.